This is the crossing of the Fraser River from the Hope to the Canadian Pacific Railway mainline. The meeting place on the north side of the river is called Odlum. You may not recognize the bridge but it is the one that comes from the end of Hope and goes across to Highway One. The train used to run underneath that bridge. 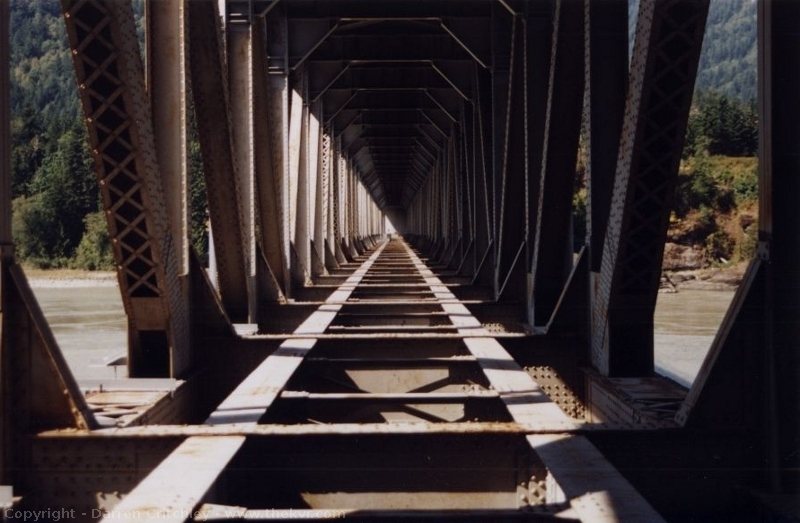 This is the only bridge like this on the entire Kettle Valley Railway and for that reason it is unique. To visit this bridge, just find your way to Water Street in Hope. There is a fence blocking access, but you can still see it.